You are looking for a touch of class that can also catch people’s attention? This monogram empreinte Sully PM bag is just what you need. 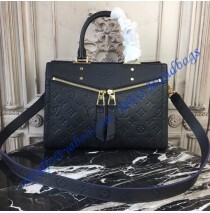 Louis Vuitton is one of the main fashion houses in the world for a good reason. Ever since they started out in 1854, this brand has been bold, adventurous, innovative, and above all, original. 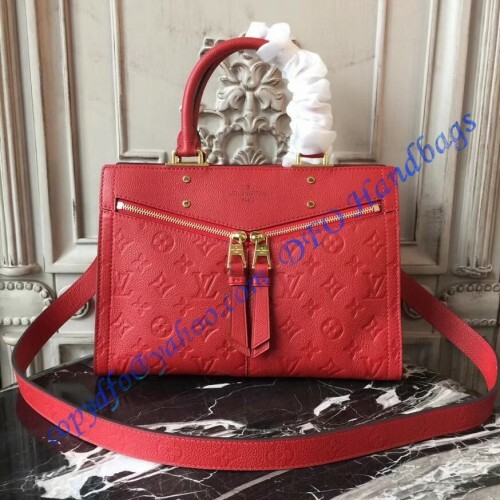 As the time passed by, Louis Vuitton became known for more than leather products. People started wearing their jewelry, shoes, watches, and clothing. However, leather products are still their strongest point. You don’t have to have an LV watch or a coat. However, you do have to have at least one of their bags among your accessories. Timeless design followed by premium workmanship is something every woman needs, and this bag is the perfect example of it. Practical, yet on-trend, this zipped handbag is everything you need a bag to be. Made out of a combination of LV’s signature monogrammed and smooth, supple cowhide, this bag is truly a premium item that will last for years. This exterior design allows you to wear this bag as a business one, as well as an everyday choice. One of its most interesting features are the angled zippers at the front that make the bag stand out. The metal feet and handles are made to look slightly worn, which means that the golden color of them won’t be too flashy. 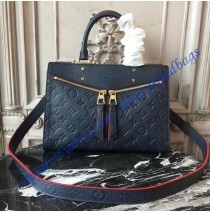 The exterior of the bag has two small pockets, while the interior features one large compartment with two small lining pockets for everyday items. Firmly built and versatile, this bag can be carried any way you find suitable. Thanks to the handles, you can carry it in your hands, while the detachable strap allows you to wear it cross-body or over the shoulder. When it comes to size, this bag falls under the medium category. Its width is 11.6”, height is 8.1”, and it is 5.1” deep.